Sometimes new dishes are a hit, sometimes a miss, and sometimes “let’s not go back there ever again”. 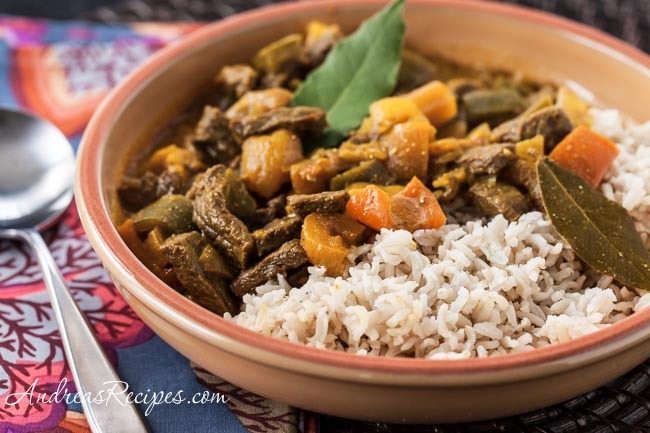 I am thrilled that this Cape Malay Curry was a total hit with thumbs up and requests for seconds (and even thirds) from all my guys. 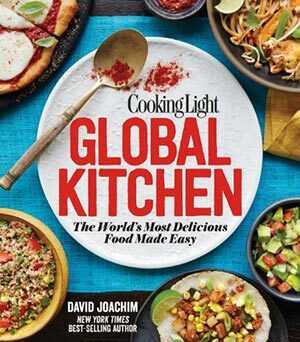 It’s from the new book Cooking Light Global Kitchen: The World’s Most Delicious Food Made Easy, by David Joachim, which just came out a couple weeks ago. The book is full of international dishes for busy families with some light makeovers. If you have an adventurous palate, this book is a good choice for your collection. There is food from many regions, and while some will be favorites, others will be brand new to you. 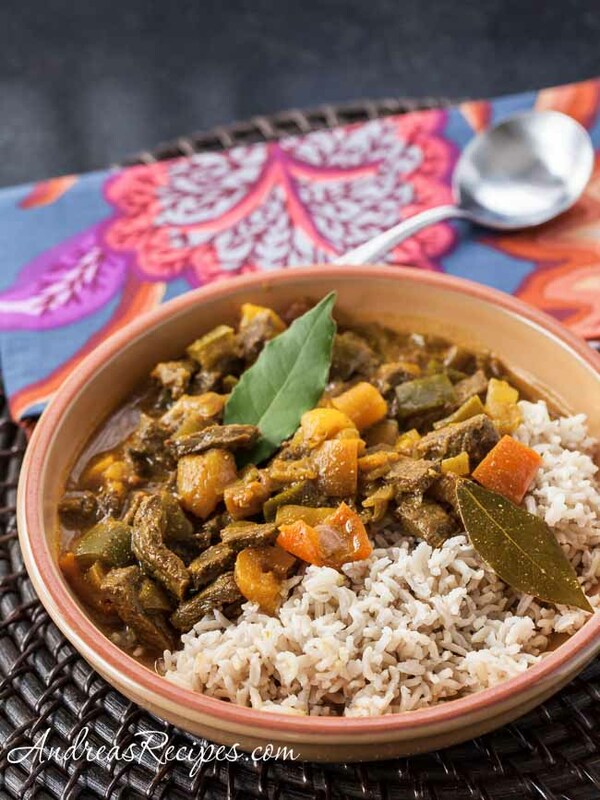 Some of my favorites from the book include the Koshari (Egypt), Beef Bourguignon (France), Lemony Chicken Saltimboca (Italy), Champagne-Browned Butter Chicken (France), Flourless Almond Cookies (Almendrados, Spain), Argentinean Pork with Chimichurri, Indian Cashew Chicken, and this Cape Malay Curry from South Africa. The mix of spices is just right; full of flavor but not too hot for the kids, and it’s balanced with tangy buttermilk and red wine vinegar plus sweet dried apricots and apricot spread. I made it with our homegrown bay leaves and the last of the garden bell peppers that we had stored in the freezer, and served it with brown basmati rice, though it will also go well with other rice or quinoa. All of the ingredients are easy to find in a well-stocked grocery store. It’s been a while since we did a giveaway, and I’m happy to share one with my readers! I have a copy of this fantastic book to give to one lucky reader, courtesy of Cooking Light. Thanks for reading, and good luck in the giveaway. And make sure you check out Twitter, Pinterest, Facebook, Google+, and Instagram for more #GlobalKitchen posts and information. The book can be shipped within the 50 United States and Canada. Apologies to my readers in other countries. You must leave a correct email address in the email field so I can contact you if you win. Please don’t put your email address in the comment field unless you want a bunch of spammers to find you. The giveaway closes at 8:00 pm EST on Monday March 24, 2014. Random.org will select the winner and I will contact the winner immediately via email. The winner must respond with 48 hours and provide a mailing address for shipping purposes. If a winner does not respond within that timeframe, another winner will be selected. I will announce the winner in this post once it’s official. 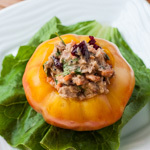 UPDATE: Congratulations to Thien-Kim, winner of the cookbook! Combine the turmeric, cumin, coriander, chili powder, cinnamon, and salt in a small bowl, stirring well. Heat the oil in the Dutch oven medium-high heat. Add the spice mixture and cook 15 seconds, stirring constantly. Add the onion and sauté just until soft, about 2 minutes. Add the ginger, bay leaves, and garlic, and sauté 15 seconds. Add the beef and sauté until the meat has started to brown, about 3 minutes. Add the beef broth, water, bell pepper, apricots, apricot spread, and red wine vinegar, and bring to a boil. Cover, reduce heat, and simmer 1-1/2 hours. Uncover and discard the bay leaves. Simmer until the beef is very tender, about 30 minutes. Remove from heat and stir in buttermilk. Serve immediately. For our family of five, I make a double batch, which gives us leftovers for lunches. I sometimes even increase the sauce ingredients because my guys love the sauce that much. If you don't have buttermilk, you can make your own with a few drops of lemon juice in low-fat milk, or even stir together a tablespoon of sour cream with low-fat milk and let it rest a few minutes before adding to the pot. The amount of sunflower oil (or whatever oil you are comfortable with) can vary depending on the type of cookware you use. Nonstick will generally require less oil. It’s so exciting when my Cooking Light magazines arrive in the mail. This book looks fantastic. Does he have any Vietnamese recipes in it? 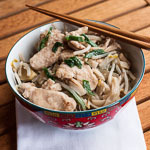 Yes, there are five Vietnamese recipes, along with many other SE Asian recipes. The book has 150 recipes in all. I love Cooking Light! I save them for way too long! I love trying new flavors to help make eating healthy exciting. I need to get my hands on this book for inspiring and exciting global flavors done light. Thanks for sharing this recipe! I’ve been craving curry lately, and that looks wonderful. The book sounds interesting, too. Thanks! Pinning for future reference. 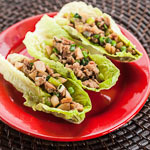 I love Cooking Light, all recipes I’ve tried from CL have been very tasty. I love that they keep publishing new (themed) books. Thanks for hosting this giveaway! I love food from around the globe. Thanks so much for the chance. Yum! This looks awesome! Can’t wait to try the recipes in this cookbook! Thanks for the chance! Thanks to everyone who entered! The giveaway is now closed, and I will contact the winner.